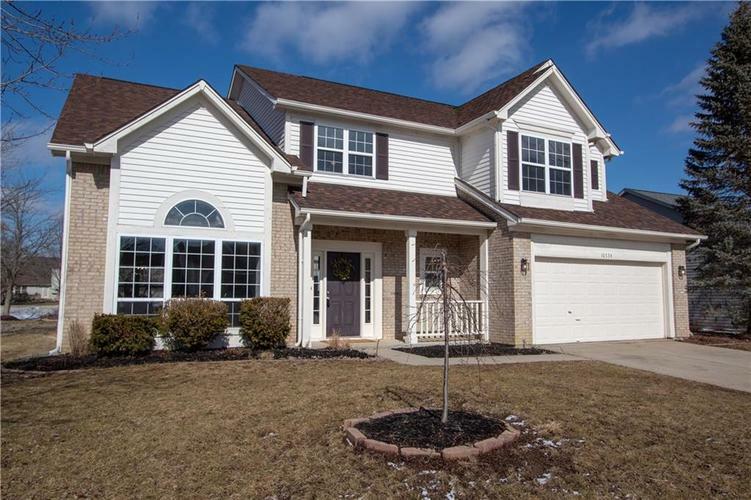 This beautifully updated 4 bed, 2.5 bath home in highly desired Meadows Knoll in Noblesville is full of brand new upgrades! Natural light floods this stunning home which boasts soaring vaulted ceilings, a fireplace, formal living, dining, great room, eat-in kitchen with breakfast bar, new granite countertops, new stainless steel appliances, fresh neutral paint, carpet and tile flooring, refinished hardwoods, spacious master suite with garden tub, new furnace, new gorgeous lighting throughout, deck, oversized 2 car garage with work space/storage, situated on desirable corner lot with access to the neighborhood pool, park and ponds. This home is move-in ready, minutes to SR 37, downtown Noblesville, shopping, schools, restaurants and parks. Directions:SR37 N TO 191ST. RIGHT (EAST) TO MEADOWS KNOLL. LEFT (NORTH) TO MAGENTA, RIGHT (EAST) TO HOME. Listing provided courtesy of Brick Lane Property Management.